Is it spring yet? Well, although the calendar’s and the weather man says that it is, in some parts of the world, not so much! But a girl can still shop and ready herself for spring right? 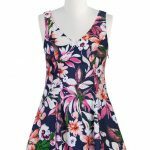 And what a better way to welcome spring than with a few fabulous spring floral dresses! I mean why not? 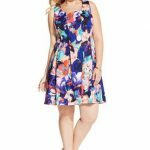 And with florals being a mainstay in spring trends, why not highlight a few of our favorite plus size floral dresses? 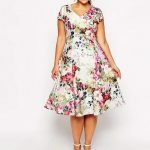 So I know that floral patterns for a few of you may make you cringe because of the relegated floral prints that we were minimized too, but for spring, plus size fashion is on POINT when it comes to floral prints! I promise you they have gotten better for the spring season! And what kind of friend would I be if I didn’t share with you a few tips about rocking prints and florals?! If you are bold and daring- then the bolder the print and the bigger the scale the better! 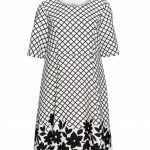 If you want to be sweet and playful and do not want to downplay a few of your curves, then a smaller print will help you out! 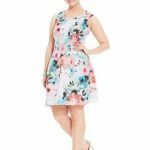 Placement, background, and the cut of the dress will also play a role in how the dress rocks out on you, BUT this is just a tip when thinking about your floral patterns to play in! Are you ready to see a few of our picks? Take a peek! I have them linked in the gallery; click the first image to start it! Do you see what I mean? How much fun are these? Drinks, dates, work, or hanging out with your girls and family time, there are a few options for the varied lifestyle choices! With sleeves and without. 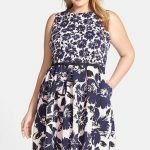 Straps or strapless, there are options and I think that it is really cool that we now have them too! 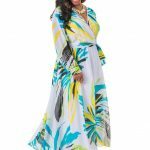 What are your thoughts about the dresses here? The floral prints you saw? The styles and designers shown? Are you excited?? 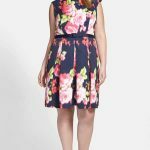 New Plus Size Online Boutique- Shop Majour! 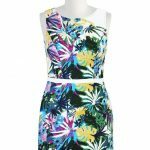 I am loving the florals, I just ordered a few in the week. Woot!!! You are spot on boo! Love this list! Thank you for putting together such a great list. Happy to be able to help madame!! !